Sue Fennessy (@FennessySue), a serial entrepreneur and advertising executive, changed the unfair dynamic in social media with her new The 8 App. Before The 8 App, social media platforms were making money from users who create the content. Fennessy doesn’t agree with this dynamic, so she has devised an app to do something about it. The goal behind The 8 App is to create a social network based on positivity, empowerment, and social change. It allows users to tell their stories through photo and video, build an audience and monetize their popular content. By directly partnering with advertisers, The 8 App enables users to activate advertisement from brands of their choice within their content to generate 80% of the advertising revenue. In addition, users have the option to pay it forward and donate to causes and charities of the users’ choice. Compared to other social platforms, users can generate greater income and it’s the first social network with a transparent and sustainable business model. Making money is The 8 App’s most attractive feature. However, the heart and soul of this social network is to provide a framework for empowering it’s users and to remind people that their voice matters. The team at Natalie White For Equal Rights, & sim One, LLC are happy and excited to have this new social media tool at our disposal during the #MarchForERA! 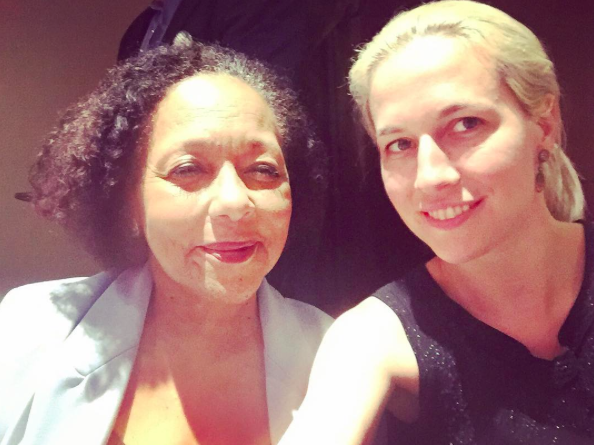 I had the pleasure of meeting Carol Jenkins in Washington D.C on June 22nd. Jenkins is an Emmy-award winning journalist who spent 23 years at WNBC as the 6pm news anchor, among many other achievements and milestones. Jenkins is the founding president of the Womens Media Center, which was founded by Jane Fonda, Robin Morgan and Gloria Steinem. Jenkins has used her platform to spark much needed conversations regarding the state of women in media in the present day. The WMC give women a voice in media as well as fighting unfair representation of women, sexism and exclusion. Bonnie Grabenhofer, vice president of NOW (the National Organization for Women), is “a dedicated feminist who balanced a highly successful consulting career with her extensive volunteer work in the women’s movement.” She was elected executive vice president in June 2009 and vice president in 2013. Of course, she is more than just the vice president of the largest organization of feminist activists in the United States. She is an inspirational woman to all and you can read more about her on: http://now.org/staff/bonnie-grabenhofer/. NOW, the National Organization for Women is the largest organization of feminist activists in the United States. NOW has been fighting for equality for all women since 1966. “NOW is a leader, not a follower, of public opinion.” They are known to use traditional and non-traditional means to push for social change. NOW has done some incredible work for advancement of female equality. I fortunately got to speak to Vice President, Bonnie Grabenhofer, about the need for us to maintain the current momentum. Momentum for the E.R.A. slowly being gained by women & men, such as Jessica Neuwirth, Ron Baldwin, Patricia Arquette, Carol Jenkins, and many others working in earnest to create an environment where it can no longer be ignored. The time is NOW. Read more about this organization at: http://now.org. Dolores Huerta, a supporter/member of the ERA Coalition, is a feminist civil rights and labor rights leader who co-founded the United Farm Workers union with Cesar Chavez (an American labor leader and civil rights activist). Huerta is an outspoken critic of many issues including advocating for equal pay, LGBT rights, and immigrant rights. One of Huerta’s most revered colleagues is feminist lawyer Gloria Steinem. Huerta and Steinem met at the first National Boycott of California Table Grapes and, together, found common ground in the focus on gender discrimination in the farm workers labor rights movement. Some of Huerta’s many achievements include a cross-country tour for the Feminist Majority’s Feminization of Power: 50/50 by the year 2000 Campaign in which she was advocating for more Latinas to enter politics; has many schools named after her; was inducted into the California Hall of Fame in 2013 and in 2012 was honored with the Presidential Medal of Freedom by President Obama. Huerta would go on to go on to become the founder and president of the Dolores Huerta Foundation where she has been getting involved in campaigns and backing laws that support equality and civil rights. I salute and thank her! Cyndi Lauper’s signature song ‘Girls Just Want To Have Fun’ has been acclaimed as a bold feminist anthem for 30+ years and has been covered and repurposed by countless other artists during that time. The other day, on The Late Late Show with James Corden, Cyndi Lauper, a cultural icon and member of the ERA Coalition delivered an updated light-hearted version of the song with an underlying serious message – ‘Girls Just Want Equal Funds’. The video went viral after being published less than 12 hours! Today my solo show at #WhiteBoxNY opens! Come and join me and in ONE month Come and Join me in my #MarchForERA!!! 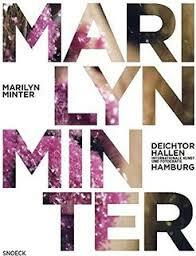 I’ve always dreamed of Marilyn Minter doing my portrait. One of the best things I have read about Marilyn Minter is found here in this New York Times book review of her book Pretty/Dirty, by Parul Sehgal. I agree when Sehgal says, “It’s a body of work that’s playful and nasty and full of surprise.”, and something I thoroughly enjoy, the human subjects, and the Minter fearlessness throughout her career, even before she became Avant Garde.